Grows best in full sun or light shade in well-drained, acid soils. 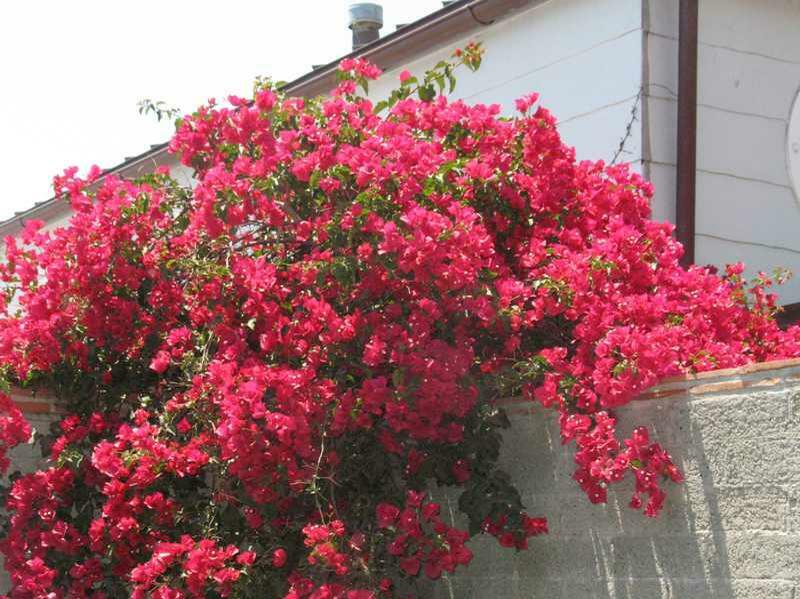 Bougainvillea can tolerate hot, dry locations fairly well and flowers bountifully in full sun with regular watering. Chlorosis can be a problem in alkaline soil. Regular pruning may be necessary to shape the plant or direct its growth, it tolerates trimming well. Be careful when pruning to avoid injury from the 1 to 2 inch long thorns. 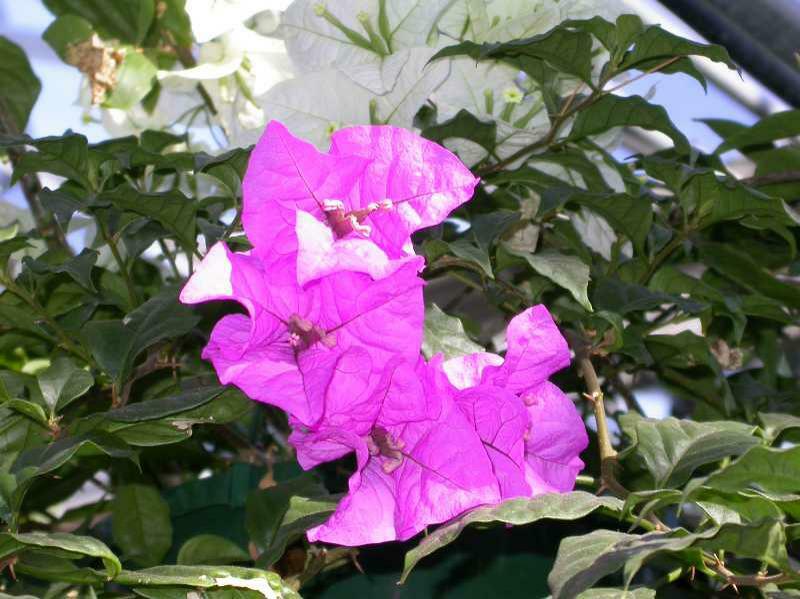 In St. Louis, to bring bougainvillea into flower, a dormant period at a low temperature is essential in winter. The plant will drop most of its leaves and you should stop fertilizing. From March on, it must be given a well-lit, warm position. Late in May, it is best placed outdoors. If pruning is required this should be done immediately after flowering. Pinching the tips of new growth will encourage branching. Water freely in summer and sparingly in the winter. 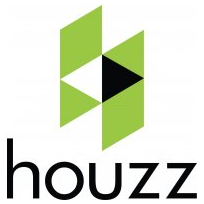 Fertilize every two weeks during the growing season. The 14 species of this South American genus in the four-o-clock family, seen in warm-temperate to tropical regions as spectacular climbers, are really scrambling shrubs and usually remain fairly compact or behave as ground covers if left free standing. Leaves are thin, sometimes downy, and broadly elliptical with pointed tips; stems are protected by long narrow thorns, found at the leaf axils. Foliage is evergreen or deciduous, depending on the species and climate. True flowers, in groups of 1 to 3 are tubular, creamy white to yellow and around 1 inch wide, largely hidden by brightly colored petal-like bracts. In the St. Louis area, these plants are a shrubby vine that can be grown in greenhouses, sun porches or in containers or baskets outdoors in the summer months.